Salt hill Pub in Lebanon resumed Thursday Blues Nights in late July, with plans to offer the best of local players like Ted Mortimer, Johnny Bishop (who has a new CD on the way), and Ed Eastridge through the fall. Bobby Gagnier may become the most familiar face by the time the series wraps up in October; the fluid drummer is in several of the bands. This week’s host is Arthur James, with his band Acoustic Mayhem. Irish music is a regular fixture at the Pub, and last week featured plenty of spontaneous fun as friends stopped by to join Chris Stevens, Roger Burridge and Dave Loney for the weekly after-work traditional session. An intimate circle of players traded solos, and work up spirited renditions of timeless jigs and reels. The music, like the Guinness on tap and the easy bar conversation, becomes a part of the room. 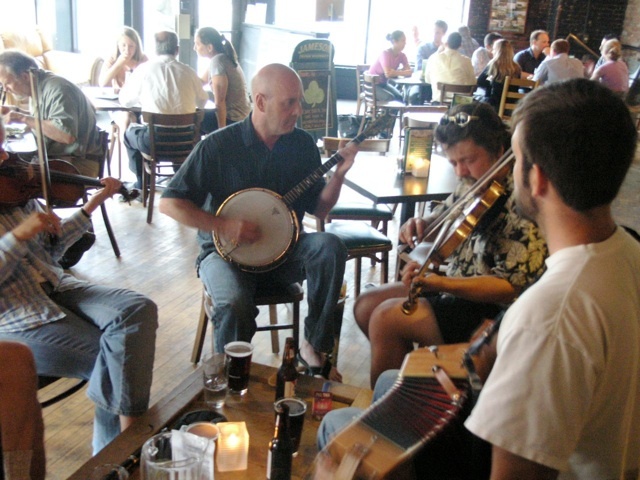 Salt hill’s Traditional Irish Sessions happen every Tuesday at 6:30. 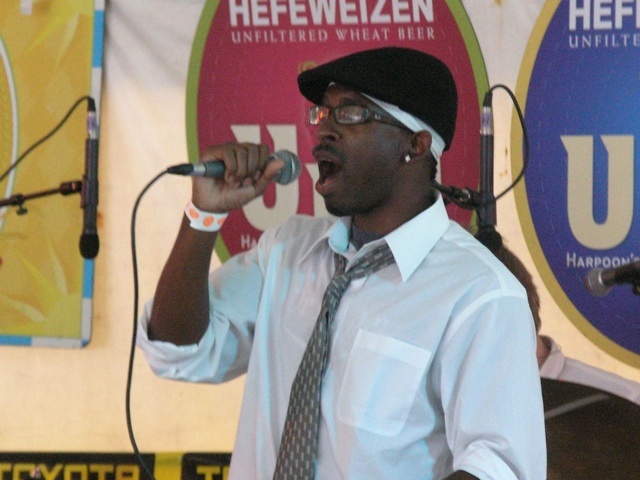 Last weekend’s Championship of New England Barbecue Festival at Harpoon Brewery featured some incredible performances. Antennas Up played a hybrid of rock and funk for an appreciative crowd. Their original music went over well, and they did a bang-up cover of Stevie Wonder’s “Superstition,” but it was their irreverent version of “A Boy Named Sue” that really hit the mark. The band introduced it as “Kansas City techno” and proceeded to turn the Johnny Cash hit into something completely different, punctuated by a wild and crazy chorus of “now you gonna die” that sounded like a mash-up of the Sons of the Pioneers and Frank Zappa. Before they packed up their van and headed to Boston for another gig, the members of Antennas Up gushed about the area (this is their second time through), and spoke of plans to return in the fall to promote their upcoming CD. 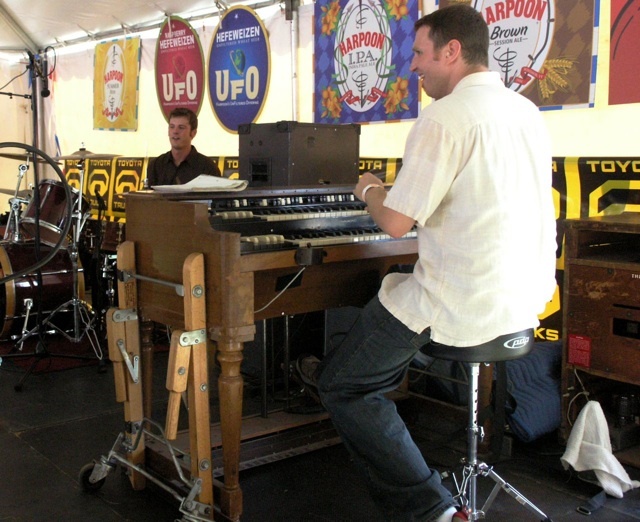 Boston-based Otis Grove followed Antennas Up with an electrifying set that recalled fusion masters like Robben Ford and Jeff Beck, as well as inevitable comparisons to Booker T. & the MG’s, with Sam Gilman working a vintage Hammond B3 organ. Later, North Country fixture the Nobby Reed Project played a set of timeless blues. All the while, beer, soda and cider flowed, while the sweet scent of grilled food wafted through the air, and the skies remained calm – a condition that fortunately continued through the weekend. Reed has several upcoming Vermont dates on his schedule, available at http://www.nobbyreed.com, as well as an October 25 appearance set for the Polish Club in Claremont. 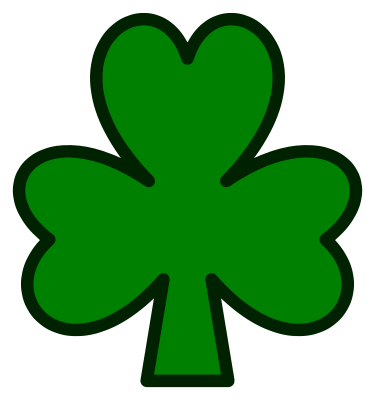 When I married a Irish-blooded girl named Patty with a March 17 birthday, I surrendered my right to question the American fascination with St. Patrick’s Day. Still, don’t you wonder why you’ve never seen a “Kiss Me, I’m German” badge? Why isn’t everyone Mexican on Cinco de Mayo? All this green Gaelic gaiety makes little sense, but why quibble with it, particularly this year? The beer’s great and the music even better. Why not make the first full weekend of daylight saving time a three-day affair? Make that four – many venues are doing just that. The fun starts Friday, with Gypsy Reel at Skunk Hollow Tavern, and the Irish Rovers at Keene’s Colonial Theatre. On Saturday, the Claremont Opera House kicks up the clover with Woods Tea Company, who are proficient in Celtic music as well as sea shanties, bluegrass and old-fashioned storytelling. The same night, Boys of the Lough, as genuinely Irish as it gets, take the stage at Lebanon Opera House. Lord of the Dance extends its long run at Lowell’s Memorial Auditorium on Sunday. The step dance opera, created in 1996 by Riverdance expatriate Michael Flatley, now has four separate troupes touring the world. The serious offerings on Monday all start with a traditional Irish breakfast at sunup – Killarney in Ludlow, Strange Brew and Wild Rover in Manchester, and Salt Hill in Lebanon. In some cases, though, that’s impossible. The Saw Doctors, who tore the house down in Lebanon last year, play at Northampton’s Calvin Theatre. Maybe the bar in front opens at 6 AM, but I doubt it. Salt Hill has a typically full slate, with music at both locations beginning at 3:00. O’hanleigh, the fine Middlebury combo that played Lebanon last year, starts things off in Newport and then moves over to the Green to take things into the night. The Tuohy brothers have also invited Guinness reps to hand out goodies, like a logo snowboard. At the end of the night, someone will win a trip for two to Ireland. It’s the best Irish the area’s got. Gully Boys celebrate at Firestones, with a promise to drink while they work and keep things loose. The Quechee restaurant isn’t exactly famous for their corned beef, but hey, everyone’s Irish on St. Patrick’s Day, right? Thursday: Karan Casey, St. Anselm College – Founding member of Solas, vocalist Casey will give those seeking an even earlier start to the green weekend exactly what they need. She was born in County Waterford and schooled at Dublin University, but as a youngster she took her cues from Ella Fitzgerald. It was only when she came to NYC in 1993 that she latched on to traditional Irish music. In addition to her Solas work, she contributed to “Seal Maiden – A Celtic Musical” in 2000. Friday: Lydia Gray, Bistro Nouveau at Eastman – The bossa nova singer surprised us with an album of pop music, including surprising choices like Peter Gabriel’s “Red Rain” and “In Your Eyes,” as well as a few Beatles songs tastily re-worked (my favorite is the skiffilized “Something”). Bistro is one of the better places to see Lydia and long-time accompanist Ed Eastridge, whose nimble guitar touch complements Gray’s voice like Grenache pairs with Chocolate Decadence. Sunday: Dropkick Murphys, Paradise Boston – Without a doubt, the hottest ticket in town this time of year is this band of Celtic punk rockers’ Boston area shows. Tickets for their hometown sets, at the Dorchester IBEW and Paradise, were gone in seconds. So the band scheduled two shows at Lowell’s Tsongas Arena, which holds an exponentially larger number of fans, but at press time they were sold out too. Still, if you want to look for tickets your chances are definitely better here. Tuesday: Tift Merritt, Iron Horse – Merritt’s third album, “Another Country,” is aptly named. With each outing, the Americana chanteuse finds new directions, this time with Eagles-flavored country pop (“Something to Me”), the gospel-infused “I Know What I’m Looking For Now” and the irresistible “Broken”. Tift deserves a bigger audience; hopefully, her new hometown (New York City) and record company (Fantasy) will help deliver it. Wednesday: Wise Rokobili & Tad Davis Open Mike, Skunk Hollow: The economy may be in recession, but there’s no shortage of opportunities for budding musicians to expose their talent. This weekly gathering in Hartland Four Corners has been around quite a while; the current hosts are sort of new. So pick up your guitar, Casio keyboard or blues harp and come join the fun. People will line up to see Bob Seger until the day he can’t remember the words to “Rock and Roll Never Forgets.” Why wouldn’t they? He’s a working class hero who can play guys half his age under the table. Barring a miracle, the next time I hear any of those songs, it’ll be a bar band playing them. I’ve had my fill of the cynical business that’s turned rock and roll into a commodity, and its most passionate fans into dupes. 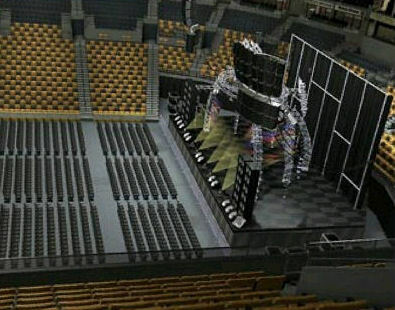 Music was never meant to be played in a cavernous barn like the TD Banknorth Garden – or whatever it’s called next week (they really should fasten sponsor names to the building with Velcro). But here’s the worst of it. Last November I bought tickets the moment they went on sale. For nearly 200 dollars, I got two seats in the last row of the top balcony – barely in the same zip code. Like most arena concerts, every ticket sold for the same price. Show promoter Live Nation must figure star struck fans will pay anything, and won’t care where they sit. If you did care, Live Nation had the answer. In the middle of December, Ticketmaster (their parent company), sent an email offering me really, really good seats, which they’d kept from retail sale. All I had to do was pay three times face value at auction. Lately, Ticketmaster is pushing for legislation to outlaw ticket reselling operations like StubHub and EBay, but that’s just so they can have a monopoly on scalping. I’ve got nothing against making money, but I’m opting out of this game. There’s plenty of good live music that doesn’t require me to bring cotton for nosebleeds, or do business with the Ticketmaster mafia. I don’t believe for a second that my small protest will dent the ambitions of, say, Van Halen, who still hate each other but are going out this summer to milk their minions. Nor will it slow down the Police’s upcoming Stewart Copeland Annuity Tour, or stop Mick Jagger from making his child support payments. Thursday: Dave Alvin & The Guilty Men, Boccelli’s – Great music lives in Bellows Falls, and this is one of the best “gets” in a long time. Alvin fronted the Blasters and played with mid-80’s punk standard bearers X as well. Lately, he’s putting his own special stamp on Americana. The West Coast native’s latest project is compilation of California songwriters. He’s comfortable in Bakersfield, South Central, and all points in between. Friday: Comedy Connection with Mike Siscoe, Electra – At this West Lebanon nightspot, first Fridays are all about comedy. Siscoe’s material ranges from familiar topics like teenage hormones and novel attention disorder treatments (hint: they’re not legal), to character bits featuring the public access show “Hookah Time,” with a Borat-type host and cheesy production values. It’s pretty funny stuff. Saturday: Stonewall, Christophe’s (Ludlow) – Oops, I had Peter Pidgeon and Arcoda listed here, but it’s actually next week. Since both the Heritage and Stonewall are Martin Hansen joints, I’ll replace my mistake with a plug for the best power trio in the Twin State region, and maybe points beyond. Check out their MySpace site to listen to their latest Exsubel Records release. Sunday: Josh Ritter, Latchis Theatre (Brattleboro) – A star in Ireland, he’s finally starting to catch fire stateside. Ritter has matinee idol looks, a wildly infectious voice, and catchy songs. Really, he’s the whole package. I wouldn’t be the least bit surprised if this show sells out, even if it is Super Bowl Sunday. Dejected Patriots fans looking to pick up their sorrows could do a whole lot worse than this. Stephen Kellogg and the Sixers, a singer-songwriter led combo from Boston, open the show. Monday: Opening Day, Salt hill 2 – The town of Newport has waited patiently for this night, and the Tuohy brothers will undoubtedly deliver the same blend of charm, service and comfort food that’s won them a loyal clientèle on the Lebanon Green. Josh and Joe say they chose Monday for a “medium” opening, but my guess is they won’t be holding much back. Live music will be coming – but not tonight. You’ll know when I do.